Today is my dad’s birthday. 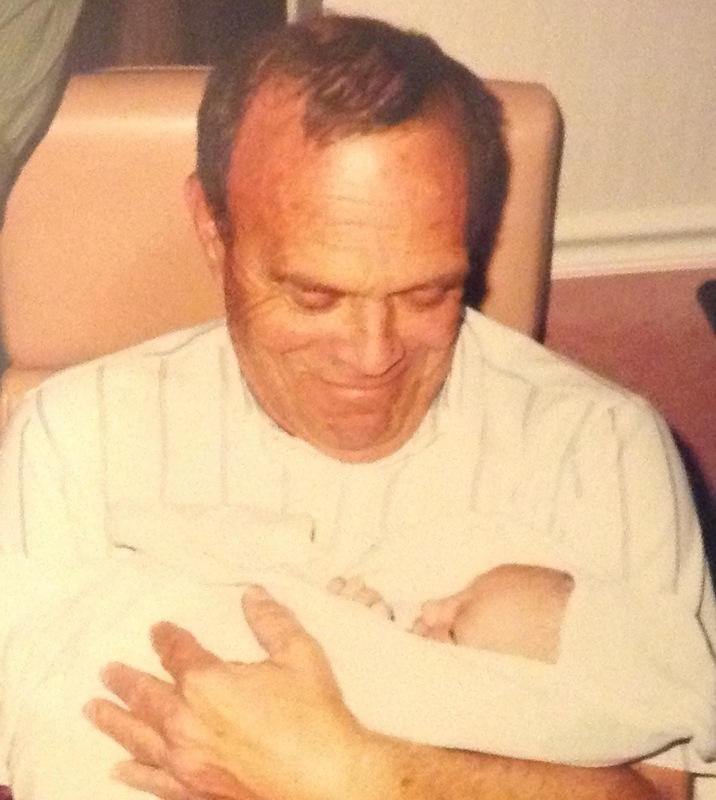 He’s been gone for nearly 10 years, and it saddens me to think about all of the great moments he is missing and the grandchildren he will never have the opportunity to meet. I am reminded of my dad often, and I smile more than cry at the memories now. Whenever I eat a bowl of homemade ice cream, smell the freshly cut grass at the soccer fields, hear the bounce of a basketball on a wooden gym floor, or see an old western movie advertised on TV, I think of him. My brother’s expressions and hand gestures have become those of my father’s, which I find both haunting and comforting. My dad left us much too early….just when things were beginning to get good. We could have sat out on the patio together and watch the 5 grandkids run wild in the backyard. Dad with his Coke, and me with a Mountain Dew. He would have been terrified of them getting injured, shouting warnings from his chair. He would have marveled at Henry’s ability to hit a baseball and Evelyn’s toughness. He would have smiled at Wade streaking across the yard with his hair bouncing in the breeze and tormented Kate endlessly about not playing basketball. And little Archer (a spitting image of my brother), his future would be left to the imagination.